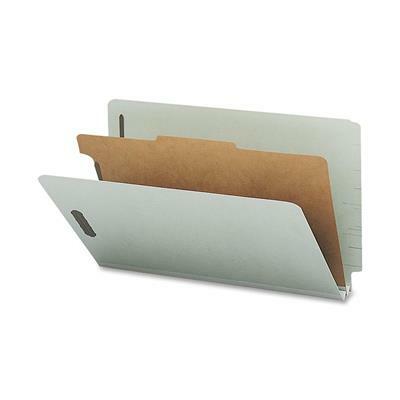 Classification folders with standard dividers offer an ideal way to store and organize projects. Subdivide material within the folder using 2"" embedded fasteners on the front and back panels. The 20 point dividers also create separate filing surfaces with 1"" twin-prong fasteners. Covers are made of 25 point stock. Each classification folder contains a high percentage of recycled material.